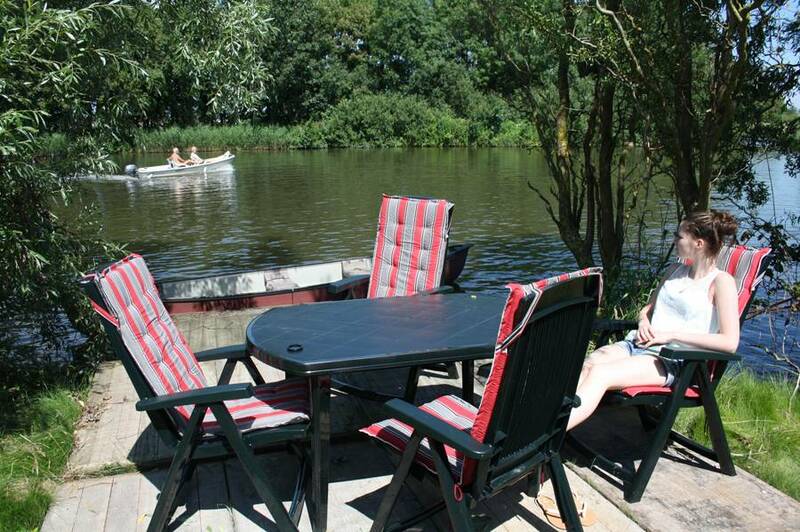 Welcome to the website of the accommodation Groote Wijzend! 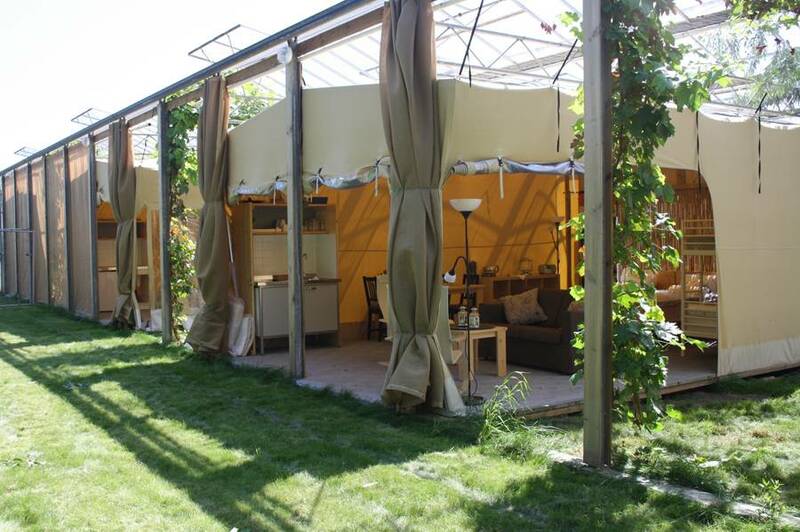 On our flower farm in Lutjebroek in Westfriesland (North Holland), you can stay in one of our five large and fully equipped luxury 4-person safari tents, which include a bathroom, kitchen and fixed beds. The accommodation is particularly suitable for groups. When you book as a group you have got the whole place for yourself. During high season the camping is mostly booked by tourists and families. Larger families may pitch an additional tent after notifying us. The tents are located under a glass roof where grapes, peaches and other plants are growing. This means a bad summer will never dampen the mood and even overnight stays outside of summer won’t pose a problem. 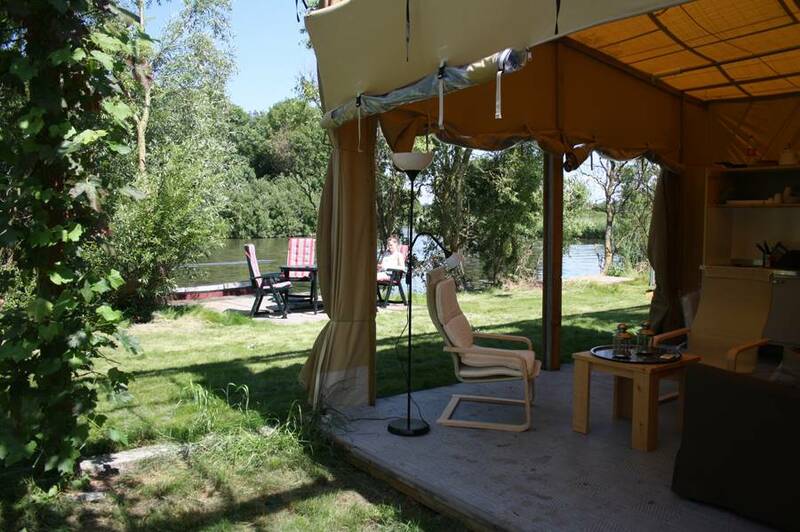 Additionally, the tents are situated directly next to the polder waterways and feature their own jetty. You can bring your own tour or fishing boat or rent one from us. You have immediate access to the water in which you can go fishing, sailing and swimming! 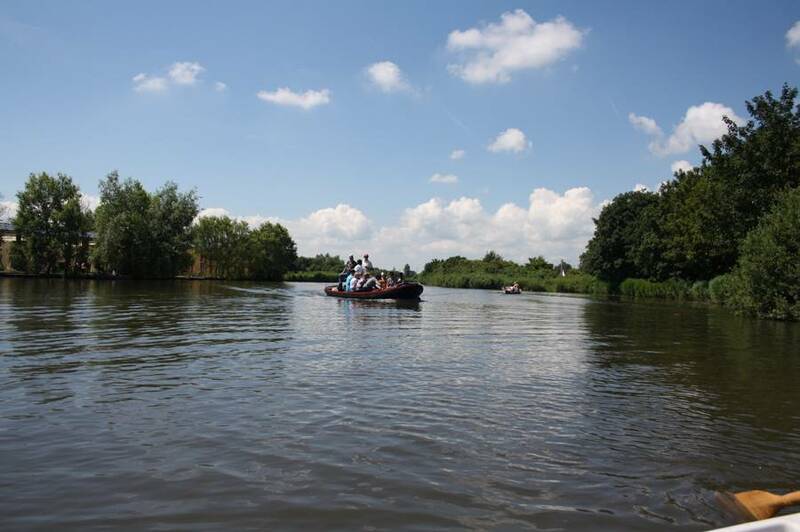 In addition to the free canoes and boats, de Groote Wijzend facilitates a boat rental where you could rent powered boats. These boats are ideal for a boat trip to historic Enkhuizen or for cruising through the canals of the villages nearby. We have two motorboats with room for 10 persons each. The boats are provided with comfortable cushions, an instruction card and a map of all the canals in the area.